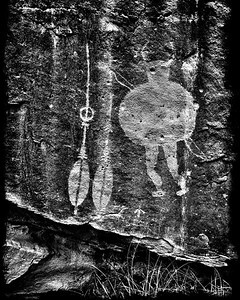 Procession panel Petroglyph, near the top of Comb Ridge. 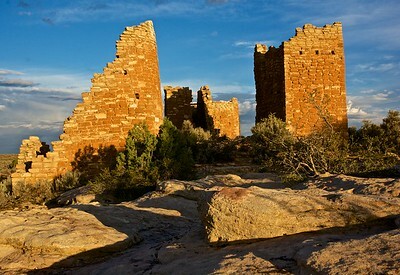 The panel is at one of the few places where it would be possible to ascend Comb Ridge from it's steep western side. 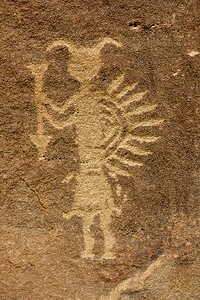 Closeup of the Sun Dagger. 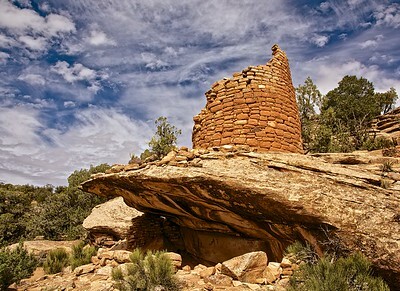 The Big Crane. 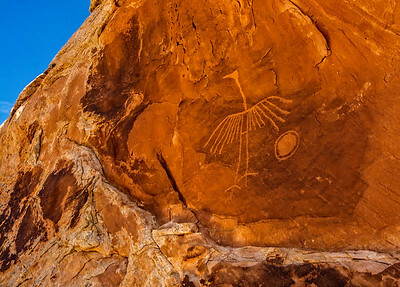 This remarkable petroglyph is perahps 80 cm tall. 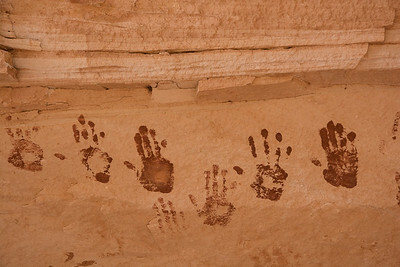 Hand prints. 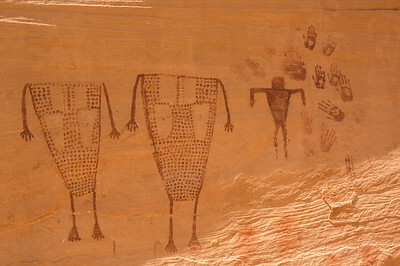 This is just part of a very extensive panel of hand prints at this site. 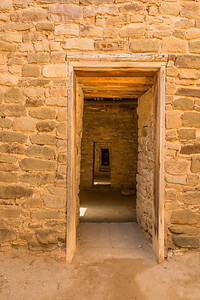 The next morning we walked back up to Split Level ruins to explore it. 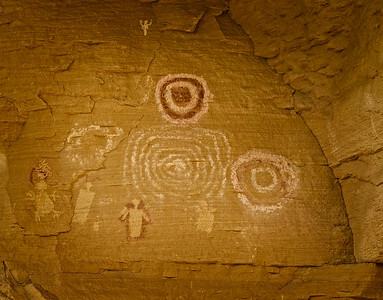 We went into Sheiks Canyon, which had flowing water, and some of the best petroglyphs in this part of Grand Gulch, at Green Mask Spring. 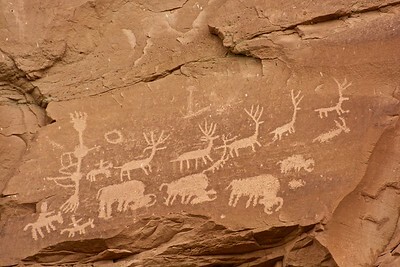 There are LOTS of petroglyphs along this wall. 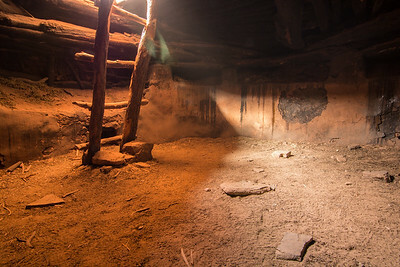 Inside Perfect Kiva. 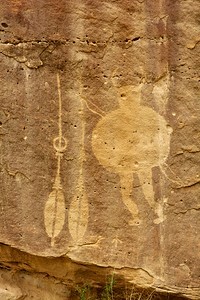 The current ladder is a reproduction; the original is at the Edge of the Cedars Museum in Blanding. 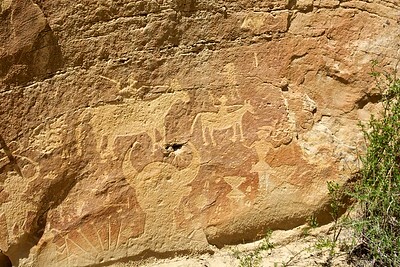 Up the road in Montezuma Canyon, we found some nice rock art. 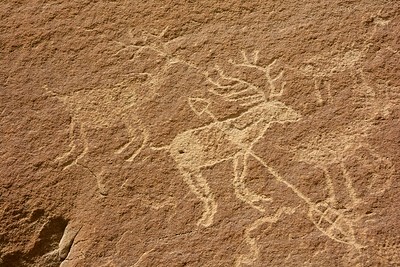 This would be relatively recent, given the warriors mounted on horseback, perhaps pursuing elk and bison. 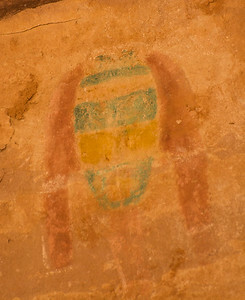 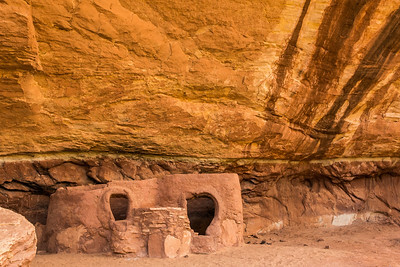 Painted Hand ruin, sitting on a large outcropping of sandstone. 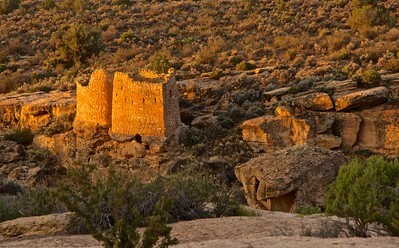 Hovenweep Castle at sunrise. 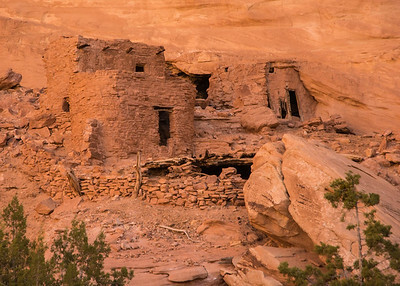 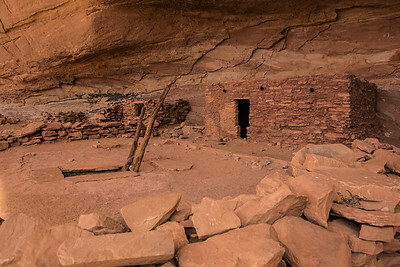 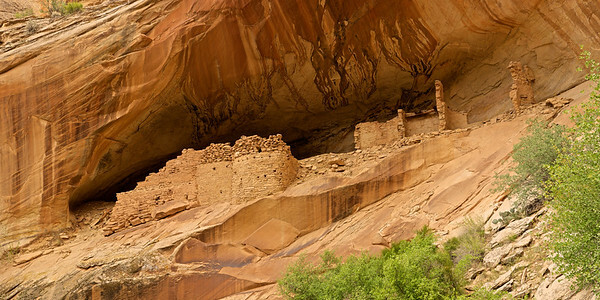 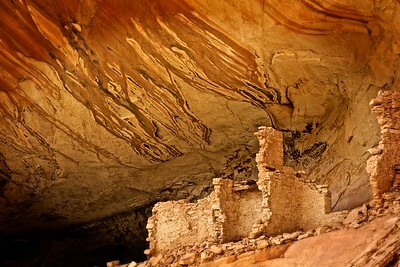 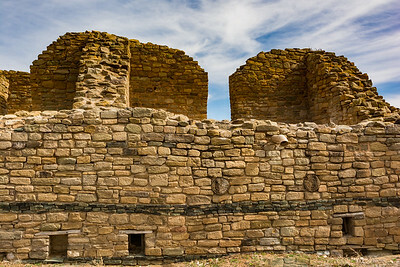 Dating of timbers in the structure indicate the logs were cut in AD 1277, one of the latest Anasazi structures in the San Juan Basin.